Disney and the National Football League Join Forces to Expand Coverage of the NFL Draft - ESPN Press Room U.S.
ESPN, which has presented the annual NFL Draft since 1980, will continue to offer a traditional X’s and O’s football analysis-themed production. Prime time coverage on April 25-26 will include the announcement of every pick, highlight packages for every player selected, expert analysis and more. The ABC broadcasts will have an added focus on the personalities and backstories of the draft picks and the overall spectacle of the draft, including live musical acts. 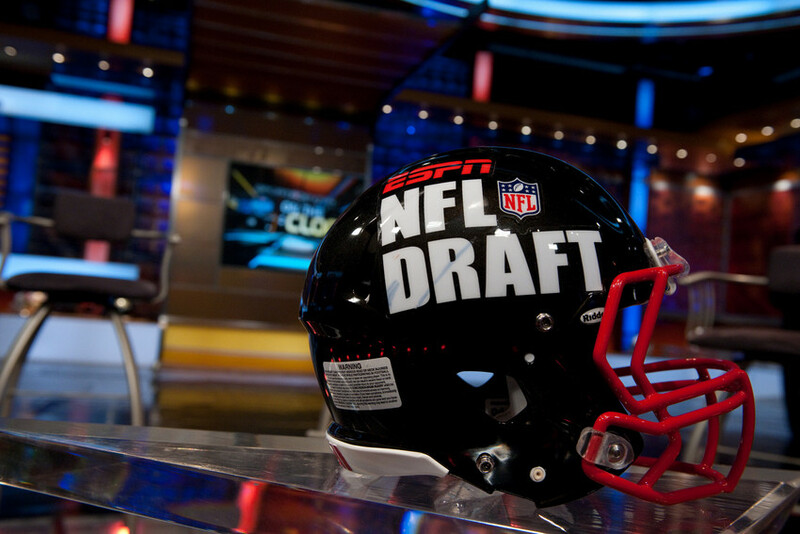 For Rounds 4-7 (April 27), ABC will again offer a simulcast of ESPN’s NFL Draft presentation, with this year’s Day 3 coverage to include additional features and content focused on the drafted players and their backstories. ABC’s simulcast of ESPN’s coverage combined to set a Day 3 NFL Draft viewership record in 2018. All 2019 NFL Draft telecasts on ABC/ESPN and NFL Network will be streamed live on an authenticated basis via the ESPN App and NFL app, respectively. The draft will also be covered across all three days by ESPN Radio and in Spanish on ESPN Deportes and ESPN Deportes Radio.